Google+ now has business pages! What? You aren’t excited about the prospect of updating another social media site? 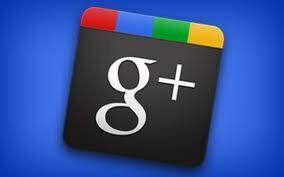 I feel your pain but I’m going to add a Google+ business page for my husband’s practice anyway. I have started looking at all of these social media sites like Twitter, Facebook, LinkedIn and now Google+ as a garden that needs to be cultivated and weeded regularly in order to bear fruit. According to the experts social media does affect search rankings and we all know the importance of SEO. There are applications that will automatically update all of your chosen social media when you post a blog or tweet but I’m not sure how effective those are in the long run if you don’t customize each site. The easiest way to get more posts on your social media pages is to get your patients and team members involved. I have a client in Georgia who does a beautiful job of keeping his patients interacting on Facebook – they write posts about how much they enjoyed their appointments! Keep cultivating your social media garden and I’ll keep adding blog posts! Most bloggers will agree – the hardest part of the job is figuring out what to write about. The field of dentistry offers lots of topics but some days your brain needs a little nudge. Inspiration can come in many forms but some days it requires Google. Subscribing to certain RSS feeds can keep you abreast of the latest research and news. Sometimes Twitter will show a trending topic that you can work into a blog. If all else fails you can look to your own website. Everyone loves their website when it is new. Over time, however, most of us start to see things we wish we could change or wish we would have done differently or we discover that whoops – we forgot something important. Usually changing these things through your webmaster is an added cost. How about writing a blog about the thing you wish you could change or add (at least until you get around to making those website changes). Don’t forget to link the social networking sites with your blog! One post can serve many purposes — if only you can think of something to write about. First of all, good luck with that! Most dental offices don’t have Team members with spare time on their hands and most Team members are not comfortable with the idea of writing content that other people (the whole wide web) will be able to read. You can try spreading the wealth and assigning each team member to write one or two blogs each month. The problem with this approach is that someone needs to supervise the schedule and make sure that the writing actually gets done. Then someone, probably you, will need to add links to appropriate landing pages, add tags, and post the blog. This method can work but you still need to spend precious time making sure it is done on a timely basis. Another option is to just add the duties to your front desk staff. This may prove problematic due to the constant interruptions by telephone and patients walking in the door. Honestly, isn’t making sure the schedule is full and productive a better use of their time? Getting the team excited about writing blogs is tough. The responsibility for blogging will most likely come back to you and if you liked writing blog posts you wouldn’t have tried to give it away to your staff to begin with. Make the time and, like Nike says, just do it! or your final option: Contact yourdentalblog.com at 561-271-2483 and let us do all the work for you for only $149 per month. References and writing samples are available upon request. So you’ve done a little research and realize that having a blog linked to your website is a good idea. You call your web guy – get everything set up and then sit down in front of a blank screen and… PANIC. Actually, coming up with topics is easier than you might imagine. Did you just attend an interesting meeting or C.E. course? Did that last patient ask an unusual question (or maybe a question you’ve heard a hundred times)? Did you see something related to dentistry on the news? There are lots of places to draw inspiration from when it comes to content for your blog posts. Hunt through your own website and write about a procedure and be sure to include links back to that page. If you subscribe to any RSS feeds that provide dental news you will have plenty of topics at your fingertips. Remember to keep your blogs short, concise and easy to read. Your blog is meant to be read by dental consumers, not necessarily by other professionals. Do NOT just copy content from someone else’s blog. I saw a great website the other day, clever practice name, good content, but when I looked at the blog it was boilerplate stolen from other dentists. Even worse – it still contained the links to the other dentists websites! If you can’t be bothered to write your own blog content then get your staff to write for you or hire a blogging service such as yourdentalblog.com. This will ensure that blogs are written and posted on a timely basis so you can reap the SEO benefits that come along with blogging.